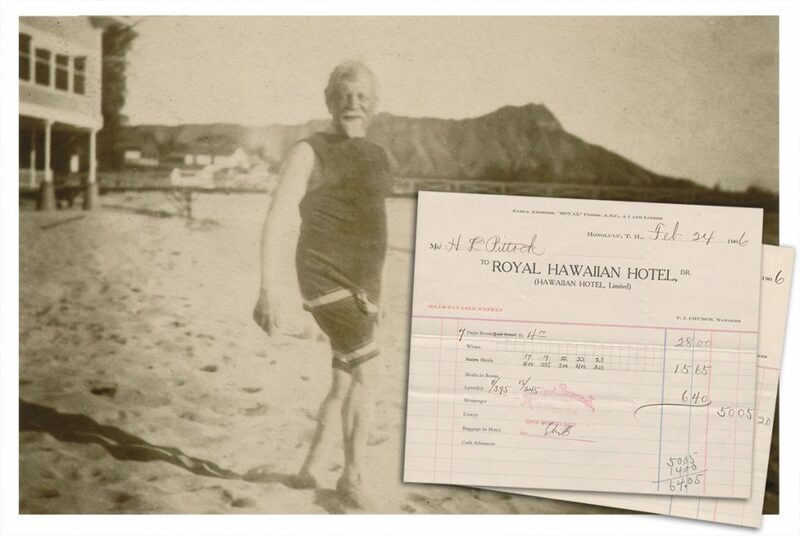 Photo of Henry Pittock on Waikiki Beach and bills from his stay at the Royal Hawaiian Hotel. Pittock Mansion’s curator is completing the cataloguing, scanning, and preserving of documents enclosed in a Woodruff file cabinet owned by Henry Pittock. 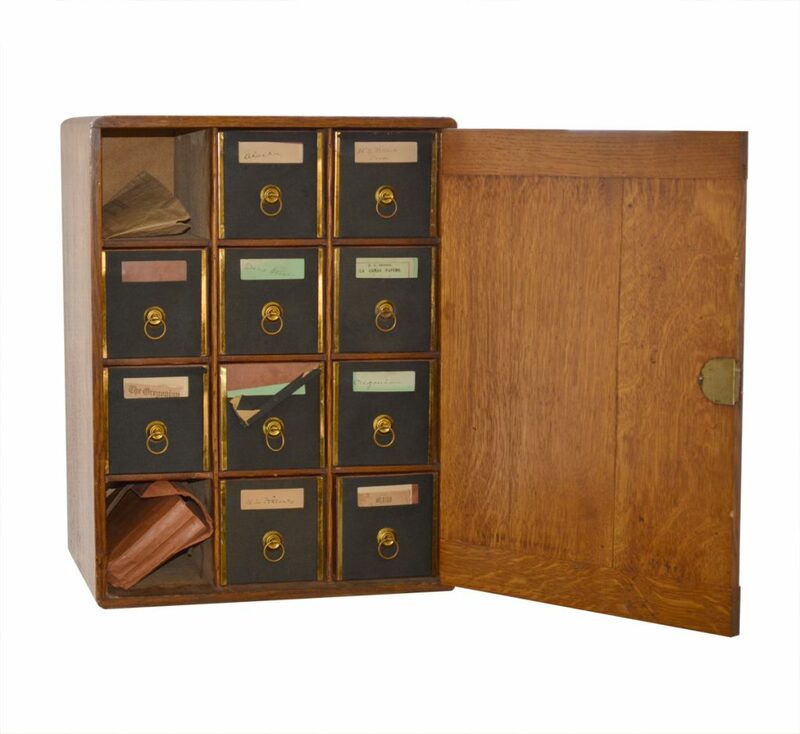 Recently donated to the museum, the cabinet holds letters, bills, and contracts that offer a window into The Oregonian publisher’s daily business projects and travels. Henry’s Woodruff file cabinet filled with documents circa 1860 -1920. This important collection of primary documents gives us deeper insight into Henry’s life. While most are business papers, some documents relate to Pittock family vacations, such as bills from their 1906 stay at the Royal Hawaiian Hotel on Waikiki Beach, Hawaii.